You may have written excellent content for your website, but what if you still can’t pull traffic to your site. One possible reason could be the slow loading time of your site. If your web page takes more time to load, your readers would naturally move to some other website. Moreover, in the not-so-patient world today every Internet user wants to gain access to the content without any delay. In fact, according to a few online surveys a one second delay in web page loading leads to 11% less page views. Besides, page load time can also impact on your Google page ranking. Even if you’re running your site on the popular WordPress platform, slow website speed can affect your search engine rankings. There may be several images, icons, videos and other elements that you want to load into your site. But this may result in making your page load slowly. Fortunately, there are various Lazy Load Plugins using which helps to improve your WordPress site performance. These plugins load the elements in your site only when they’re needed. In this post we have compiled a list of top 5 WordPress Lazy Load plugins that you should be aware of. This is one of the widely used and popular WordPress plugin that helps boost your website speed. It helps to make your website load faster and helps to save bandwidth. It replaces all your images, content iframes, thumbnails etc. in your pages or posts – with a placeholder image. And the images are loaded only when a user scrolls to them. If you want to optimize your website images, then the BJ Lazy Load plugin is a good choice for you. This is another great Lazy Load plugin that is based on Unveil.js jQuery plugin. It helps lazy-loads content images when they’re scrolled by the user. The Image Lazy Load plugin boost website performance, by delaying to load images that are present outside the view port of the browser. So, in case you’re looking for a simple plugin that helps to image lazy load option on your site, this is the best plugin for you. If you’ve more complex needs, then the WordPress Advanced Image Lazy Load plugin can prove a better choice for you. For instance, if you’re running a photography site, it is bound to be image-heavy; this can make your site load slowly. When a user opens up a website, this plugin first loads the text, and then load the images when the visitor scrolls to view them. But, what makes it better compared to other lazy load plugins is that it works with any image that is placed within the <img> tag. This is an ideal plugin to be used for portfolio sites. This plugins speed up your website, as it lessens the size of the data that needs to be loaded from the server. In a nutshell, Unveil Lazy Load utilizes a lightweight jQuery plugin based on Unveil.js, and thus load the images only when they’re in the view port, which helps in making the page loading time faster. What’s more? It uses data URI scheme to embed images in the HTML. This eventually reduces the HTTP requests to load dummy images. It helps reduce the number of HTTP requests that users makes loading a web page. This plugin is itself optimized for speed as it weighs just 2kb. There aren’t any options available with this plugin, so just install it and enjoy and there’s nothing else you need to do. 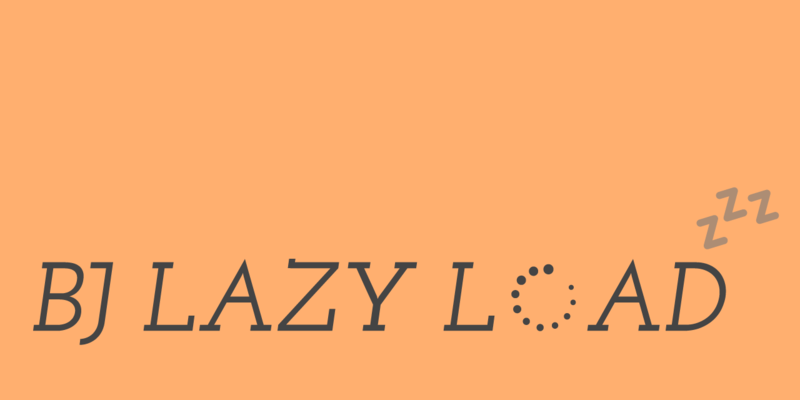 Although the concept of Lazy Load is not new, yet it is being overlooked by a number of WordPress users. That’s because, most of the users today pay more focus on optimizing some particular website elements only. For instance, they use caching plugins like W3 Total Cache and others to boost site speed. However, using Lazy Load plugins helps to improve the website speed significantly. They not just help to enhance website performance, but also helps to optimize the overall user’s experience. If you’re on a look out for some of the best Lazy Load plugins, then reading the aforementioned list will give you a basic idea of the must-have plugins that are worth a try. Author Bio: Jason Roiz is qualified outsource web development professional who is great at delivering focus in his writings. He meets expectations for OSSMedia, a CMS development company giving proficient WordPress, Drupal, Joomla and Magento improvement administrations.